As a W.W.W.W (world wide web writer), I tend to receive sponsorship/partnership proposals from different countries. I am grateful & very appreciative of them and hope to continually see them coming 🙂 Hence, having recently noticed that one of the most frequently asked first questions as far as these inquiries are concerned, was: “Where are you based?” I thought to write this short location specific post which answers it for good hopefully. Or not. I am quite certain that there will be someone somewhere who will soon ask yet again, “So, where are you based, dear?” (Feel free to ask) 🙂 I am a London based writer. Writing process is often much more fun with a few pics and stories attached, therefore… All pics were taken in this Crazy, Never Lazy Centre of Everything, in Europe. 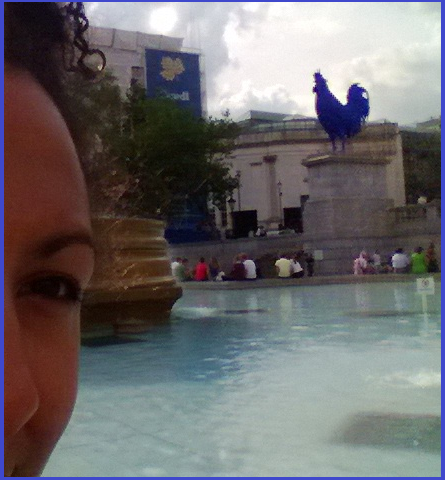 These ones above were taken at Trafalgar Square where you see me checking out the blue chicken behind me. My initial thought was: “What on earth, is this blue chicken statue doing amongst the statues of kings, admirals & lords, including the lion guarded column of Nelson?” Then, I figured that I didn’t need to have a negative opinion about the presence of a chicken, which has no relevance to my life or destiny. Hence, I decided not to attempt to understand the chicken. Rather, I found it more beneficial to just enjoy the chicken a.k.a ‘akokɔ’ (as my Twi-non speaking son would call it). Art is a creature which often defies the status quo by simply doing its own thing, without trying to explain or satisfy opinions. It’s a good thing (when it’s a good thing, of course). 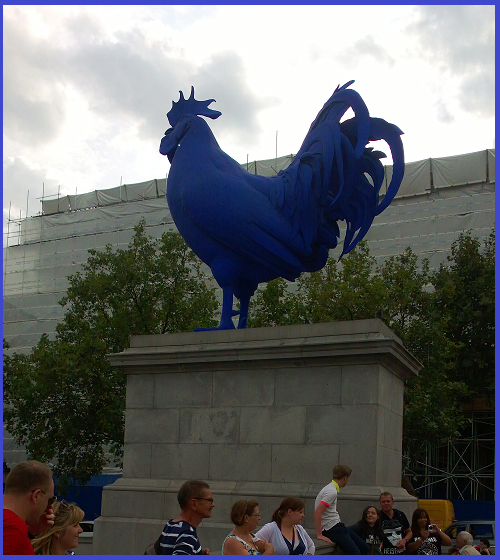 Therefore, if there is a blue chicken, let there be… a blue chicken, in Trafalgar Square! 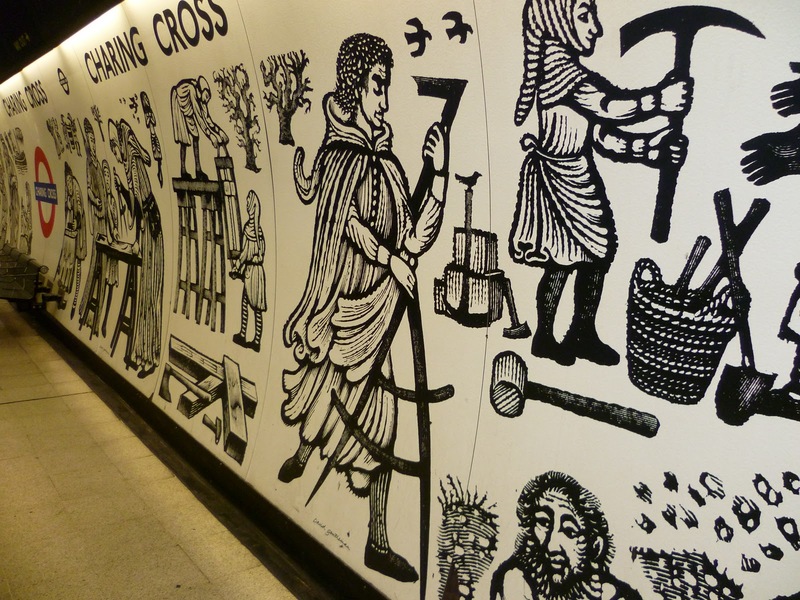 Leonard Woolf: If you were thinking clearly, Virginia, you would recall it was London that brought you low. 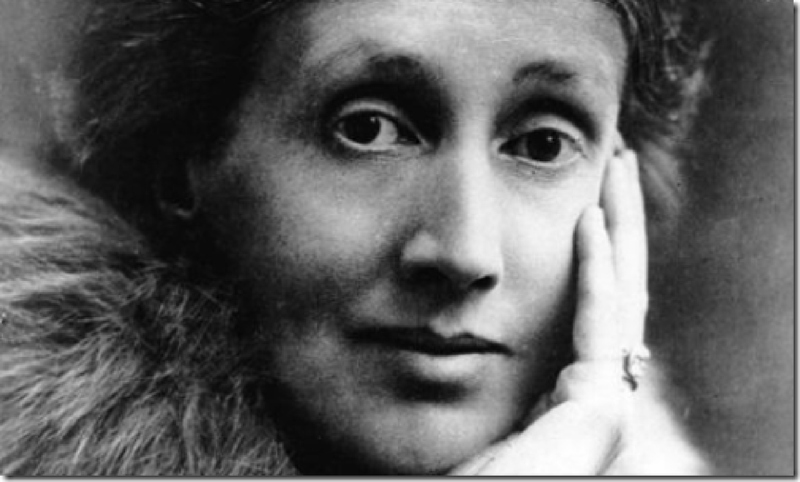 ..
Virginia Woolf: … “I choose not the suffocating aesthetic of the suburbs, but the violent jolt of the Capital, that is my choice. … I wish, for your sake, Leonard, I could be happy in this quietness. [Pause] But if it is a choice between Richmond and death, I choose death. Draaamaaaa, I know. Yet, I am able to relate to Virginia’s excessive, self-destructive nature as well as to her love for the Capital. I understand her struggle – London (life) can be a tough cookie & you’d better have God on your side (with you on His side), if your teeth are to remain capable of biting it for a very long time… However, life is definitely the only choice for me! 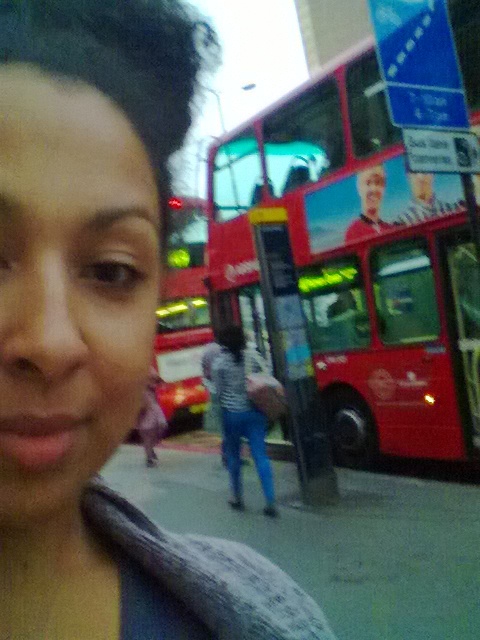 As for now, I am a London based writer with a poetry book awaiting to be let loose on the world. I would love to connect with a literary agent who’s ready for the challenge. My book consists of 25 amazing poems. One can find elements of a memoir, reflections & great story telling on it’s pages. The beautiful poetical pieces are well-written, often amusing, always refreshing & inspiring. The book is a lot like this blog, or my Author’s Page (click click). 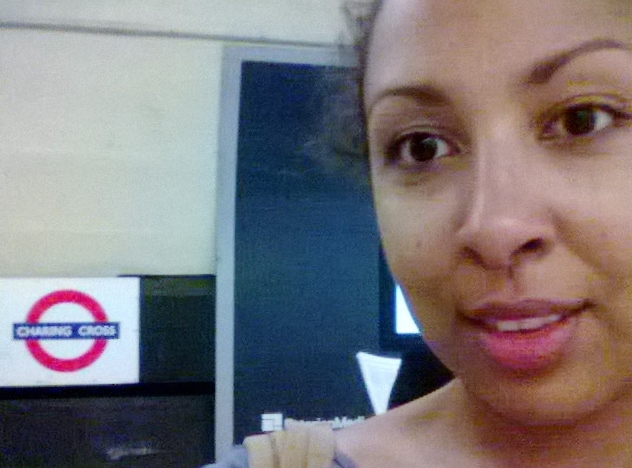 It is a lot like me: Inspired Polish/Nigerian “adopted” by Britain & married to a Ghanaian with a Portuguese surname. I’m an enthusiast of the Spanish language (probably until I’ve mastered it, then might become a fan of another. Or not. God knows 🙂 4 More about This London Writer (click click) I do appreciate different cultures & believe that everyone everywhere has an amazing potential & uniqueness unmatched by any other. I look forward to hearing from you – whoever you are, wherever you are. Especially if you’re around the corner, you are passionate, good at what you do & able to believe in what I do.